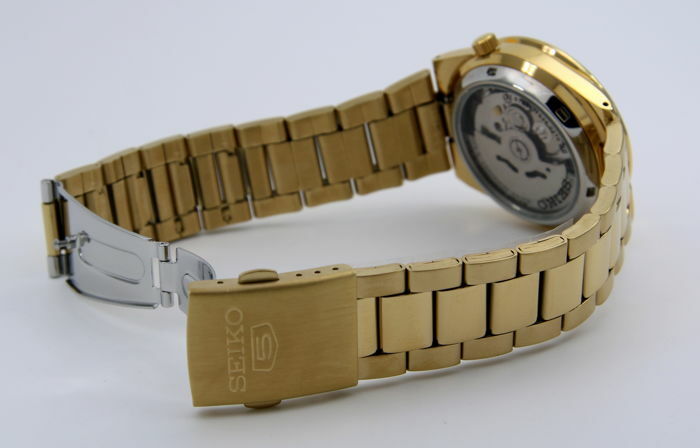 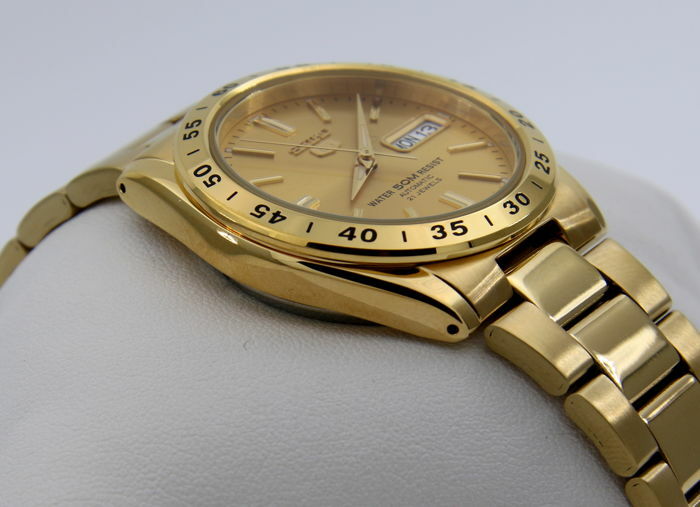 Wonderful Seiko Automatic 21 jewels "Gold Edition" UNISEX (case diameter 35.5 mm). 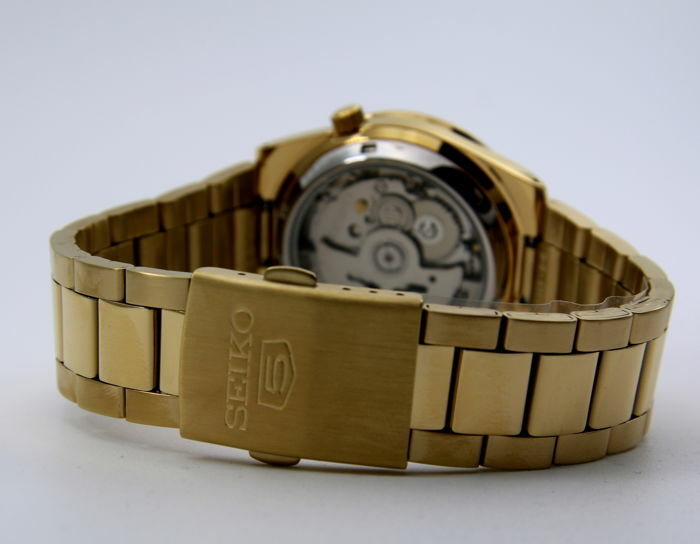 Seiko automatic movement, calibre 7S26. 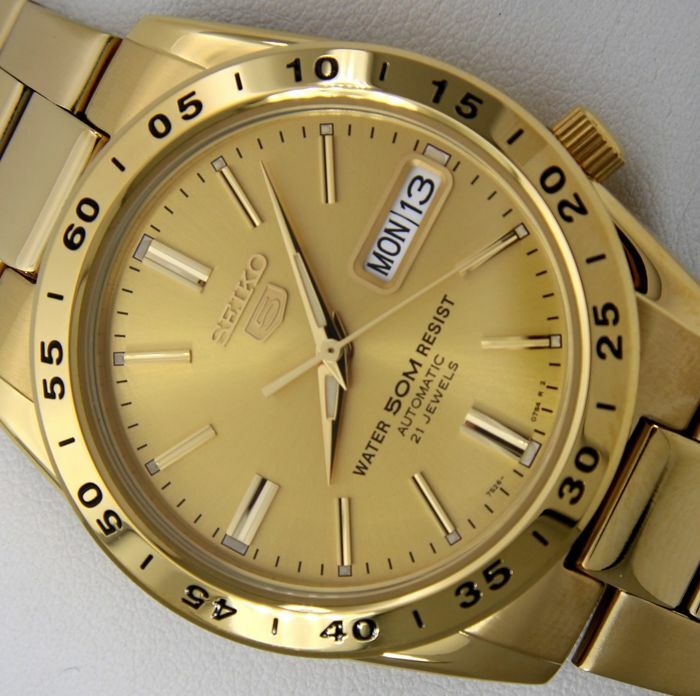 Date (the day of the week is indicated in both English and Spanish). 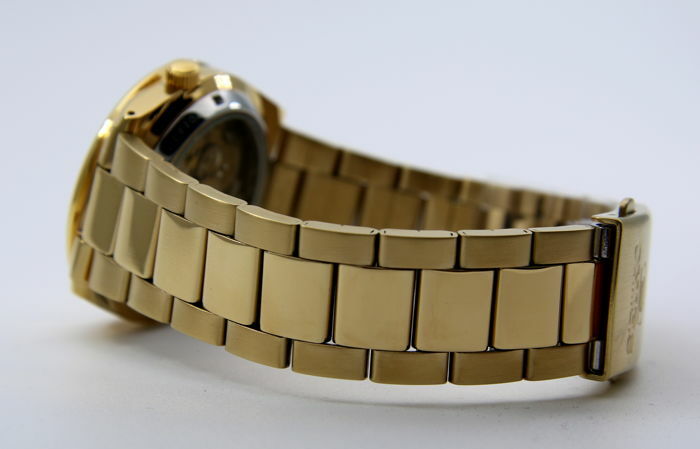 Gold-plated steel bracelet (the width varies from 17 mm to 20 mm). 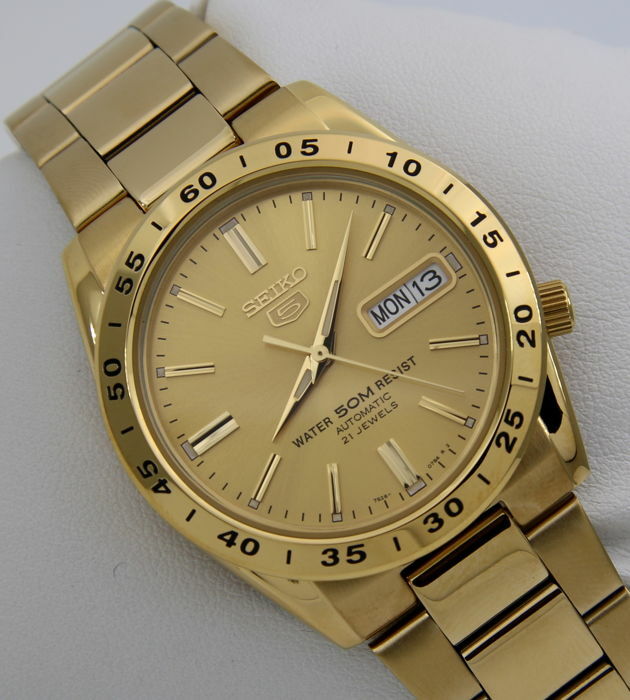 Gold dial with golden hands. 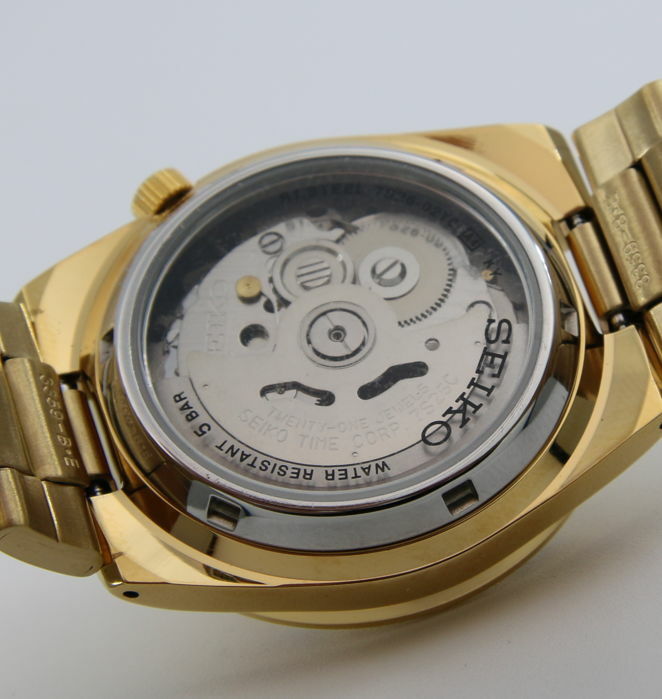 The case measures 35.5 mm in diameter (excluding crown) and 11 mm in thickness. 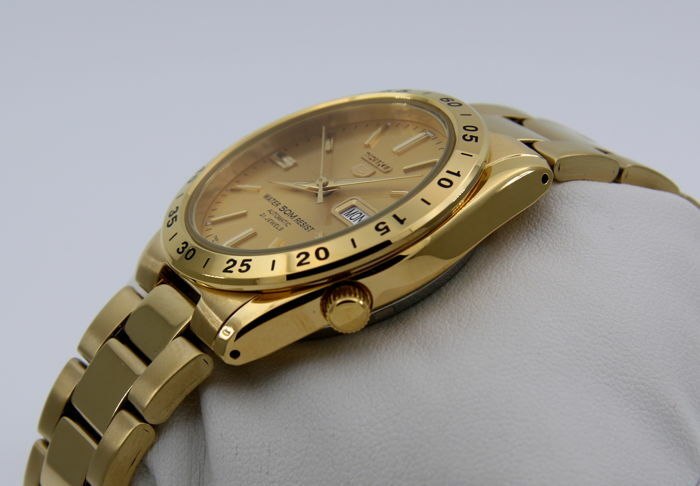 The weight is approx. 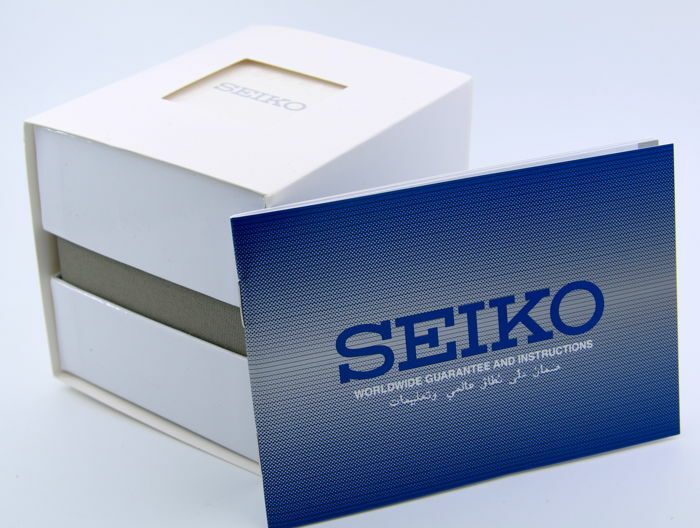 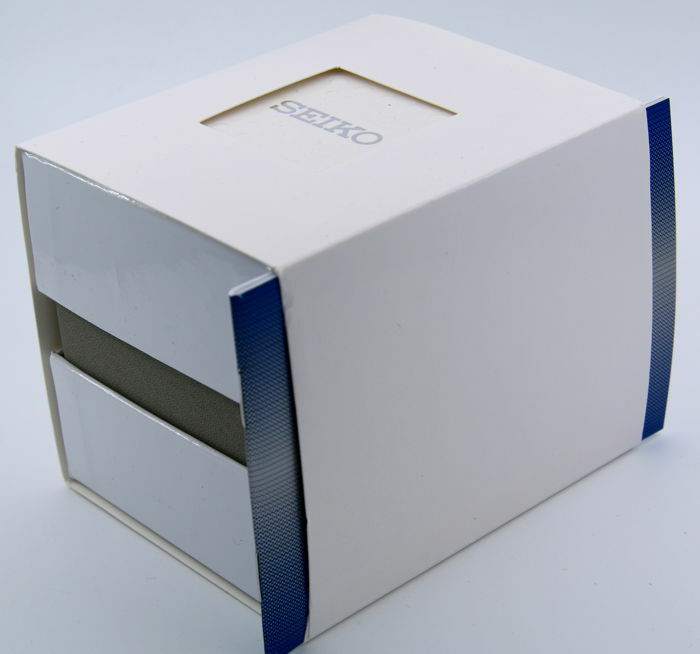 120 g.
Complete documentation: Seiko box, 1-year Seiko international warranty, original manual.